Twitter user “TriNitroToluene” tweeted this screen capture from WSB-TV, the ABC affiliate in Atlanta. For the station’s team coverage of the winter storm hitting the region, the station used 14 boxes, each with a reporter’s face. The 14 box setup was featured a few minutes into the station’s 5 p.m. newscast (video here). 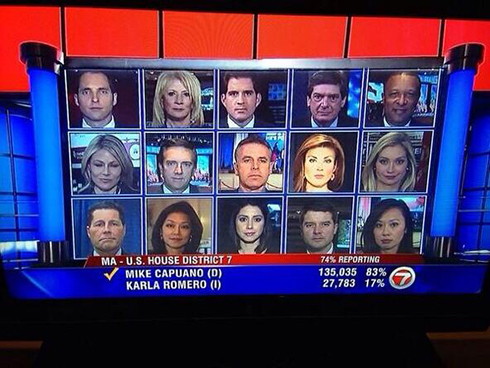 Incidentally, another user, Alex DiPrato, tweeted back with a 15 box image reportedly taken from an old WHDH-TV Boston broadcast. 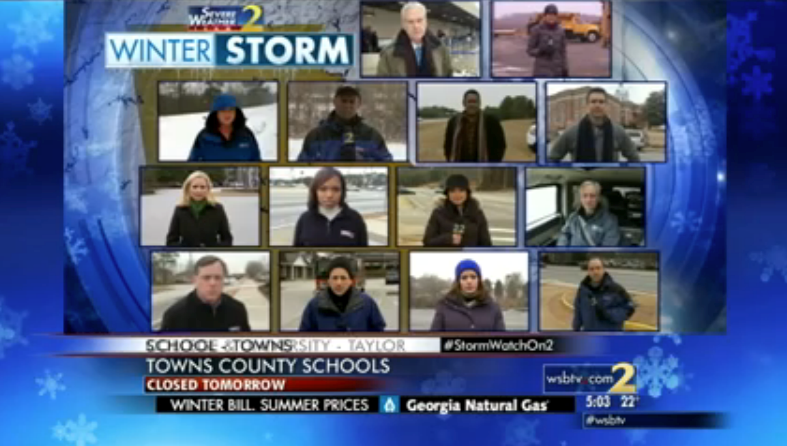 WSB-TV, meanwhile, also posted a behind the scenes video of its storm coverage. Watch it here.